This year, the quantity of smart devices available on the market is rising quickly. Among them, the most successful ones are the smart fitness bracelets. There are several companies that offer these bracelets with different features, and the offer increases every day. 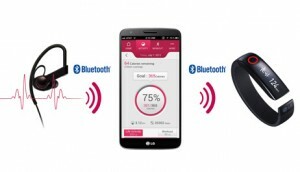 LG has decided to jump into this growing market and has released the Lifeband Touch, a quantification fitness bracelet for iOS and Android. Like other smart bracelets, it quantifies our physical activity calculating our footsteps and the calories burned, and it offers all kinds of information like graphs and statistics. 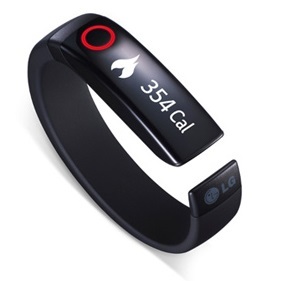 However, LG has gone a step further and has included some functions typical of a smart watch. The Lifeband Touch has an OLED touch screen which shows the notifications of our phone, connecting via Bluetooth. Through its screen we can receive call alerts, messages, SMS and even change the songs of the phone. The bracelet features a 3-axis accelerometer and altimeter, and it carries a battery that provides about 5 days of normal use. In addition, the company has announced an interesting supplement for fitness enthusiasts, a Bluetooth earphone with heart rate monitor. This innovative earphone measures the heart rate in the ear, while we are listening to music. Thus, we can avoid wearing classic chest strap. The earphone is connected to a small device that processes the information and sends it directly to our smartphone or the Lifeband Touch and it monitors as much information as possible during our fitness session. The Lifeband Touch will be available in three sizes. It goes on sale in the United States during the second quarter of 2014 for $180, but for the moment there is no information regarding its arrival to the European market or its price.